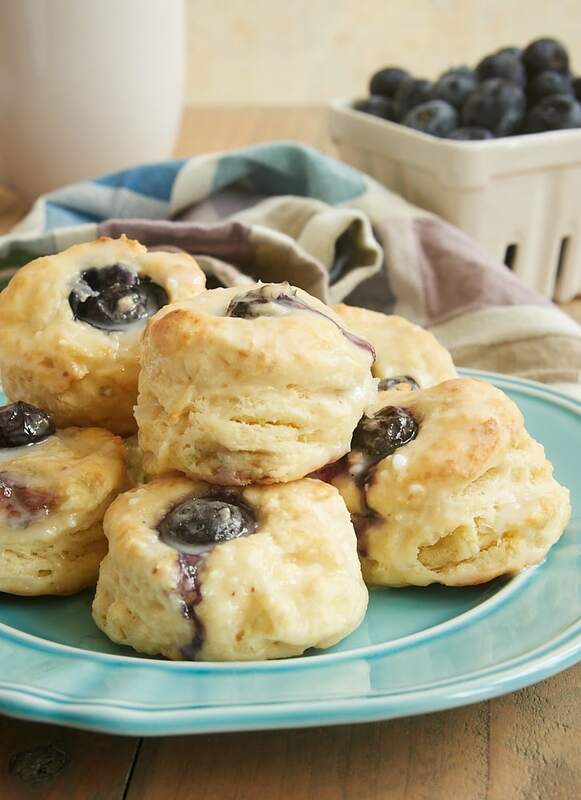 Glazed Blueberry Cream Cheese Biscuits take blueberry biscuits to extraordinary heights with the addition of cream cheese and a sweet glaze. One of my favorite things to bake for breakfast is biscuits. It’s tough to beat a batch of warm-from-the-oven, homemade biscuits with their flaky layers and soft, pillowy texture. As much as I like traditional biscuits, it’s fun to mix things up once in a while. 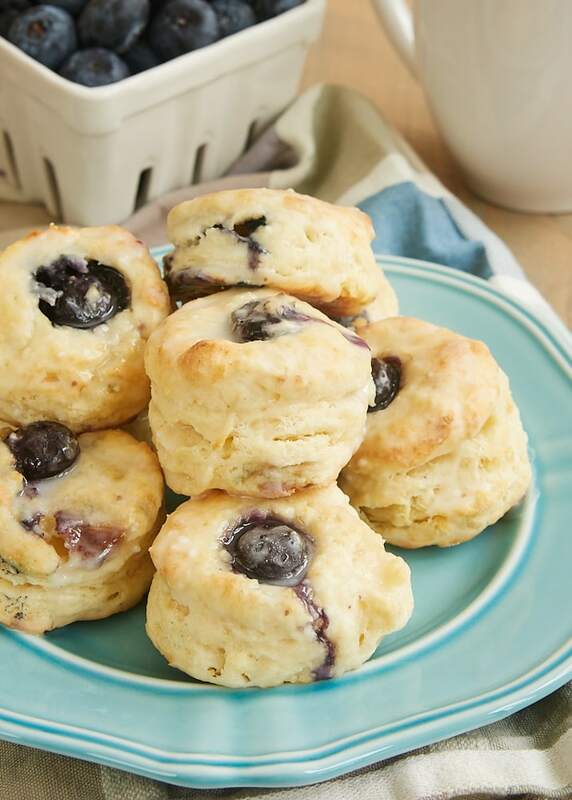 That leads us to these Glazed Blueberry Cream Cheese Biscuits. I’ve made blueberry biscuits in the past, but I wanted to try a cut-out biscuit versus a drop biscuit. As you can guess, cutting out biscuits with berries mixed into the dough can be tricky. Secondly, some of the blueberries will inevitably break apart as you’re mixing and cutting. And that’s fine. Just be as gentle as possible when you’re mixing, and be mindful of where the blueberries are in the dough when it’s time to cut them out. 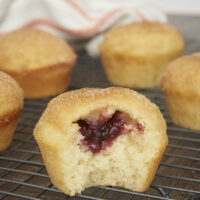 Using small blueberries will make things a bit easier, but I’ve made these with large blueberries, too. Topping off these berry beauties is a simple sweet glaze. It’s the same type of glaze I like to use on cinnamon rolls, but I use a bit more milk to make it thinner. Of course, you can skip the glaze for a less sweet biscuit. If you do so, keep in mind that there’s no added sugar in the biscuits, so you might want to sprinkle the tops with sanding sugar before baking to give them a little bit of a sweeter bite. If you’ve got a special breakfast or brunch coming up, bake up a batch of these biscuits. 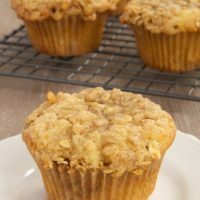 Or treat yourself to a batch on a lazy weekend morning. Whatever the motivation, just bake them! 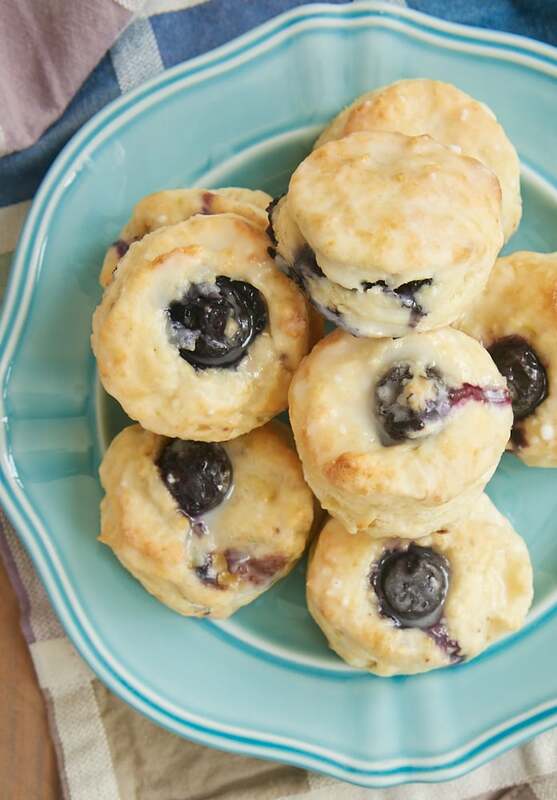 These sweet Glazed Blueberry Cream Cheese Biscuits are a perfect sweet treat for a special breakfast or brunch. Add the milk, and continue mixing until the dough comes together. Gently fold in the blueberries. Use a 2-inch round biscuit cutter** to cut out the biscuits. Gather the dough one time and continue cutting out biscuits. Bake 14 to 16 minutes, or until golden brown. 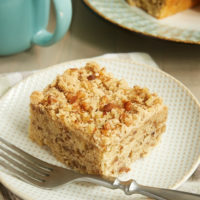 Combine the confectioners’ sugar and 1 tablespoon of milk. Add more milk, a little at a time, and mix until the glaze is the desired consistency. Dip the tops of the biscuits into the glaze or drizzle the glaze over the tops. *Be sure your blueberries are dry before adding to the dough. If the dough is too wet after adding the berries, sprinkle a bit of flour over the dough to make it easier to handle. **I have this set of biscuit cutters, and use the 2 & 1/4-inch size to yield about 12 biscuits. Recipe adapted from Cream Cheese Biscuits. 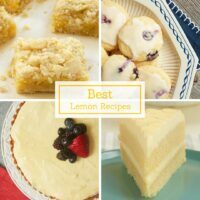 OMG your killing me, right now.. : D I am sitting at work reading this, wishing I was home, to make these scrumptious looking delights. Love your blog. I always look forward to seeing it. Thank you, Cindee! I hope you get to bake a batch soon! 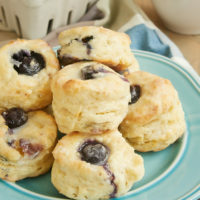 I make scones all the time, but I forget that biscuits can be great in the morning, too ~ I love that blob of blueberry in the center of these ~ yum!! 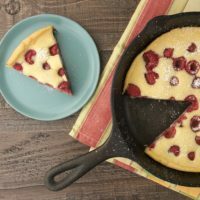 Do you think using frozen fresh blueberries dusted with flour would make the dough easier to work and result in fewer smashed berries and a less sticky wet batter? I’m sure they would thaw completely by the time they were ready for the oven. It’s worth a try, Eva. I usually thaw, rinse, and dry frozen berries when I use them, but having them a little more sturdy might work better. These were WONDERFUL! There are only two of us at home, now, so they lasted for a few days. 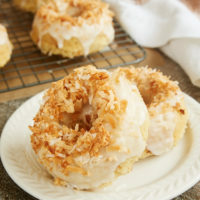 The first day I was in such a hurry to try them, I forgot to make the glaze. As we had been expecting something sweet, we both wondered why they weren’t and then I remembered…….Whoops, no glaze! They were still fantastic. Had them with glaze the second and third days. Delicious. The suggestion by Eva Rogers sounds like a good idea. I will be trying that next. I’m glad you liked them, Jackie! That glaze makes all the difference, doesn’t it? Made these today. They look absolutely nothing like the picture but tasty anyway!